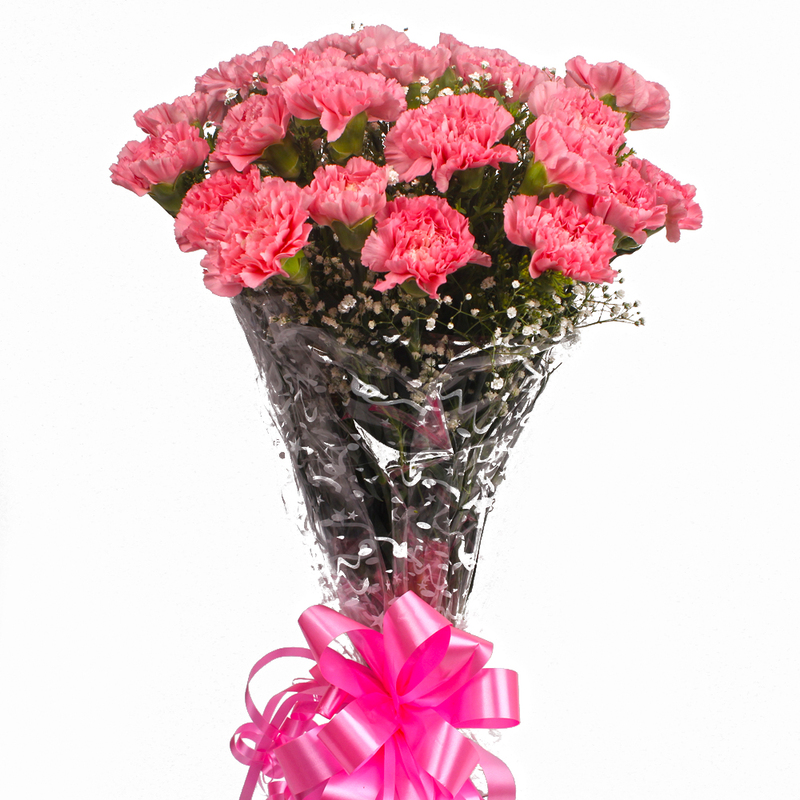 Product Consist : 24 Pink Carnations with green fillers in Cellophane Wrapping with Ribbon Bow on it. 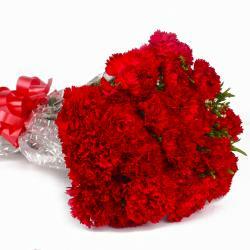 Bouquet of carnations is definitely some of the best gifts ever when it comes to celebrating and commemorating special occasions. And of course, there is nothing quite like a carnations in this department. 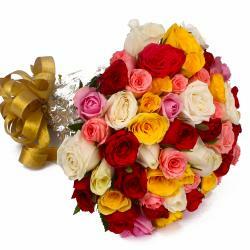 Talk of passion and love and the pink carnations comes to mind instantly. This gift pack contains a bunch of 24 stem of pink carnations Which will please any recipient immensely and warm his / her heart in seconds. 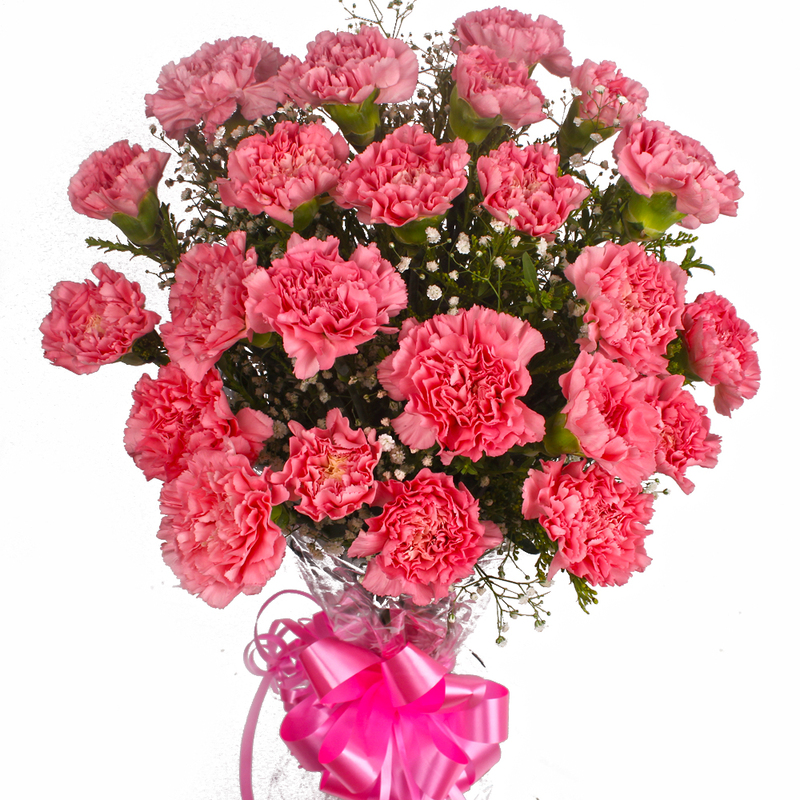 These pink carnations have also been packed immaculately in premium cellophane paper with a matching ribbon bow on top for company. 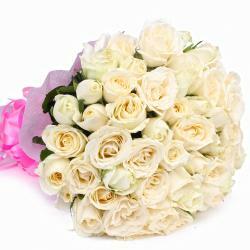 This pack is ideal for occasions like Valentines Day, Rose Day, Birthday, Anniversary, Corporate Gifting, Dhanteras, Eid-Al-Adha, Independence Day. 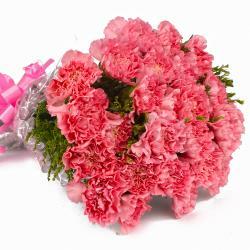 Product contains : 24 Pink Carnations with green fillers in Cellophane Wrapping with Ribbon Bow on it.